Daniel Ravner is the Founder of The Perspective - A website designed to open your mind by showing you what you‘re missing due to Filter bubbles, a fragmented media landscape, and the drive to personalization. The site’s features employ design and psychology to help readers consider contradicting views. 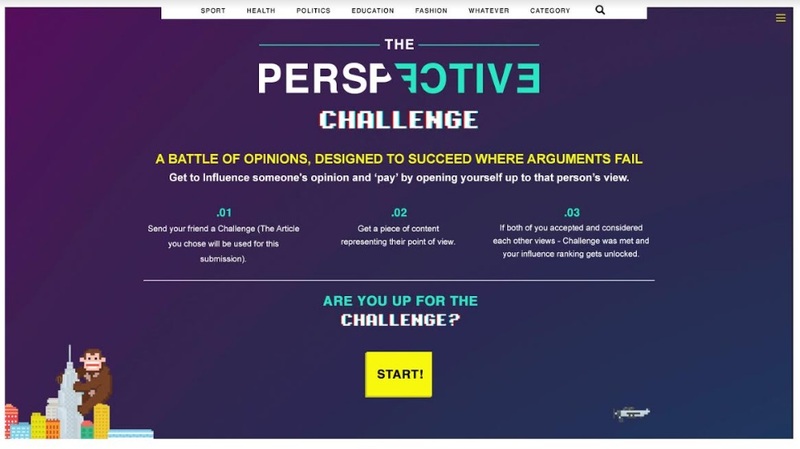 The Perspective had a successful launch on Product Hunt in March 2017, which was followed by worldwide media coverage. Daniel is a veteran of content, media and marketing worlds. His Former roles include being Head of Digital at Armoza Formats, Head of content at The Box and creative director of Screenz. Since 2015 he started RAVNER - a marketing and innovation agency. Daniel created and led projects for the likes of: P&G, FOX Television, RGE media group, 3M, Screentime Shinawil, Brightcom, Showbox and many more. Daniel holds lectures and workshops worldwide on the subject of New and Cross media for organization raging from Google to EBU. 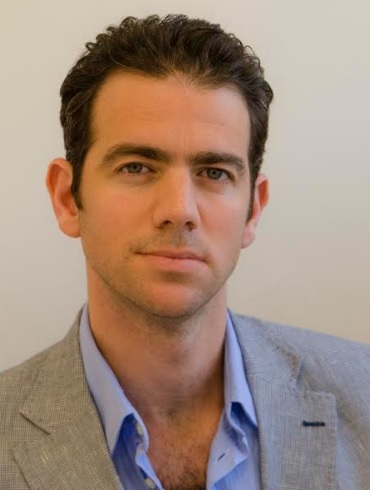 Daniel was elected as one of “40 most promising people under 40” (Globes) and won the prestigious fellowship for the Entertainment Master Class. I’m not the best. For every item in my impressive resume, there are at least three failures and six other things that didn’t mature to a point of success or failure. That being said, I’m the best version of myself, and if I find a golden point where my output, a project’s needs, and the market meet, I’m at my best, making it happen. I can’t help but feel that the world is going sideways. It is becoming more aggressive and polarized, and I don’t want filter bubbles to be my generation’s legacy. That’s where The Perspective came from. It’s a culmination of my aspirations, personal and business ones, a way to solve a societal pain that is practical, commercial and effective. Looking 1-2 years a ahead: While starting as a website, The Perspective is built as a media brand that will encompass various products and business models, both online and offline. I always wanted to be a writer – a comedy writer to be exact. That’s what I studied in New York and that’s what I did in Israel in the five years following graduation. But looking at the rate of success in this world and what that success meant, I got the feeling that the chances are slim and not necessarily worth the fight. I needed to reinvent myself. At the time (2008), YouTube had just come on the scene and made a lot of noise, but no one really knew what to do with it. I decided to be the person between Traditional TV and New Media. After studying film and theater and working in TV, I figured I could take what I know that works across media and implement it for the new medium. I started a professional blog about it, and it was the best move of my life. In one month, my status changed from being a freelance writer to an expert that gets invited to meetings. This opened the door to a global career in the forefront of TV and Digital, innovative projects and awards, but it all started with the task of changing what I thought was my goal since I was a child. What comes to mind is very recent. For the development phase of The Perspective and during the first two months, I managed both the startup and my existing marketing and innovation agency. An understating grew during that time: although I could do both, and while my clients and investors didn’t feel short changed, there is a hidden cost. There is a level of commitment that only comes after burning down a bridge that would otherwise make it easy to go back. It was hard let go of a the agency's management and place all my eggs in one basket. But it was the right thing to, and I did, just last week…. Know thy self. I don’t think knowing oneself is a point you can get to as much as it is a destination that one should always strive for. I also believe it is not just an inward journey but a very real one. There are countless ways to succeed and having met many successful people, I can safely say they have nothing in common except for a sense of who they are and the ability to operate from that core. Ricky Gervais – First, he is a comic god, and comedy is still an art I deeply treasure. Plus, he was a late bloomer, and had every reason to compromise, but he didn’t. He created a pilot, insisted on playing the lead role (despite it risking the opportunity he got from BBC), insisted on being the director (further jeopardizing the once in a lifetime chance he was already given), and The Office was born. I once met him. I went over, introduced myself, and told him he is my idol, to which he replied that I should get out of the house more. Classy. I’ve been lucky enough to live, study and work abroad, so I’m at a place where I want to focus on a few destinations and explore more and more of them. For now, that city is London – theatre, shopping and great cuisine are my idea of a perfect vacation. Otherwise, I can’t stay away from my wife and kids for more than a few days, so if I’m not home for 3-4 nights, my favorite destination is home. Sci fi books, vinyl records, pop culture vintage items. On a more recent note, the Vi headphones are great addition to my running. Got into boxing in the past year, which is fun. I love Alec Baldwin’s interview podcast “Here’s the Thing” (the episode with Billy Joel is a double whammy). It’s good to have Veep back. I’m awaiting Kingsman 2. I’m exploring Tim Minchin’s work (which I don’t know how I didn’t know about until now). The doulingo app is a great app, and I can’t get enough of gifs on WhatsApp. Otherwise: The Perspective, my friends, my extended family, my kids and my wife.